Not every city we visit is vegetarian-friendly. I can usually find something to eat, no matter where we are, but it's nice when a place caters to vegetarians. 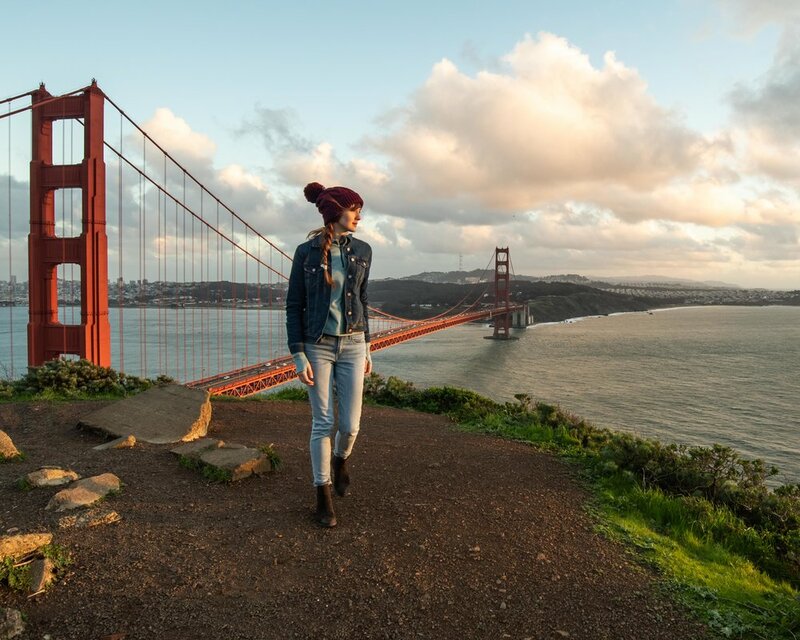 San Francisco is perfect for that. Not only do most restaurants have meat-free and vegan options, but the food in SF is delicious. Below are some of the places we ate on our short weekend trip to the Bay area. Is a bowl of ramen worth a three-hour wait? We set out to answer that question at Marufuku in Japantown. We had just landed in SF and wanted to check into our hotel before dinner. I searched Yelp for good ramen, and Marufuku was one of the highest rated spots. The only problem was that the Yelp waitlist had almost 150 people ahead of us for dinner. Kenan didn't believe that the wait could be accurate, but once we arrived, we saw that the internet was right. A huge crowd was waiting in front of the restaurant. Thankfully with the Yelp waitlist, we didn't have to wait physically at the door. We wandered around Japantown, shopped a bit, and tried a few snacks as we waited for dinner. 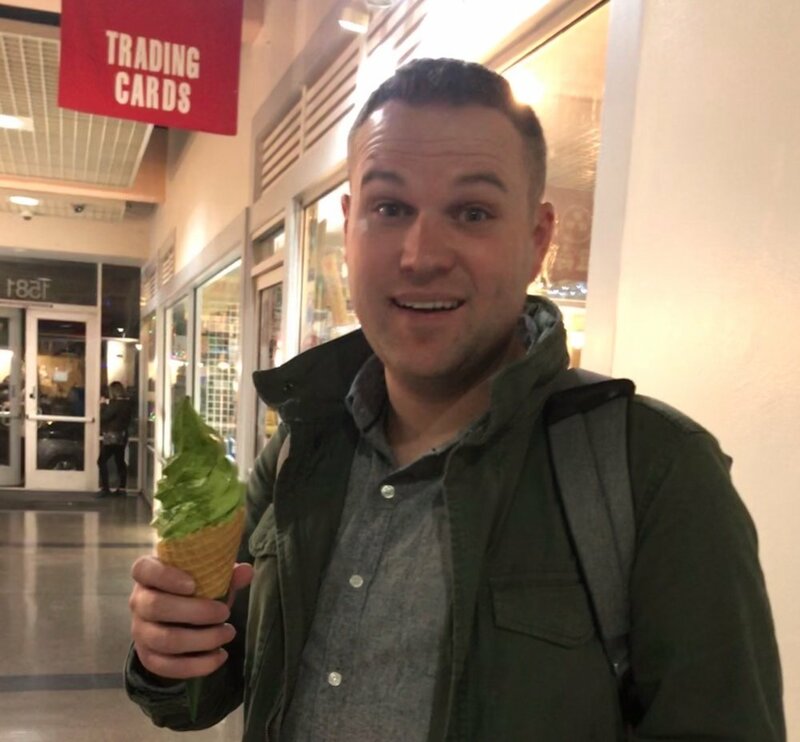 We went to a supermarket for some different Japanese bites and picked up some matcha ice cream, which Kenan didn't care for at all. A few snacks we picked up while waiting for ramen. Kenan hated the matcha ice cream but I thought it was good. So how was the ramen? I don't know if we would have stood in a line for three hours for it, but it was terrific. Without question some of the best ramen we've ever had. If you want great ramen, schedule this place. Marufuku is a small place with limited seating. Show up at least 45min before opening to get in on the first seating or get on the Yelp waitlist as soon as they open to limit the wait. It's definitely worth it. We always like visiting the ferry building on the Embarcadero. It's fun to wander around and try the various snacks for sale. For lunch, we ate at Gott's Roadhouse. It's connected to the outside of the ferry building. They sell burgers, fries and a unique vegetarian item called "The Impossible Burger." If you miss the taste of meat as a vegetarian, the Impossible burger will fill that craving. Even Kenan was shocked by how much the flavor and texture mimicked meat. I don't really miss meat, but occasionally I would like a burger that actually tastes like a burger. While I would choose a black bean patty as my go to, The Impossible Burger hit the spot. Another favorite spot in the ferry building is Humphry Slocombe. Be sure to order the secret breakfast ice cream. 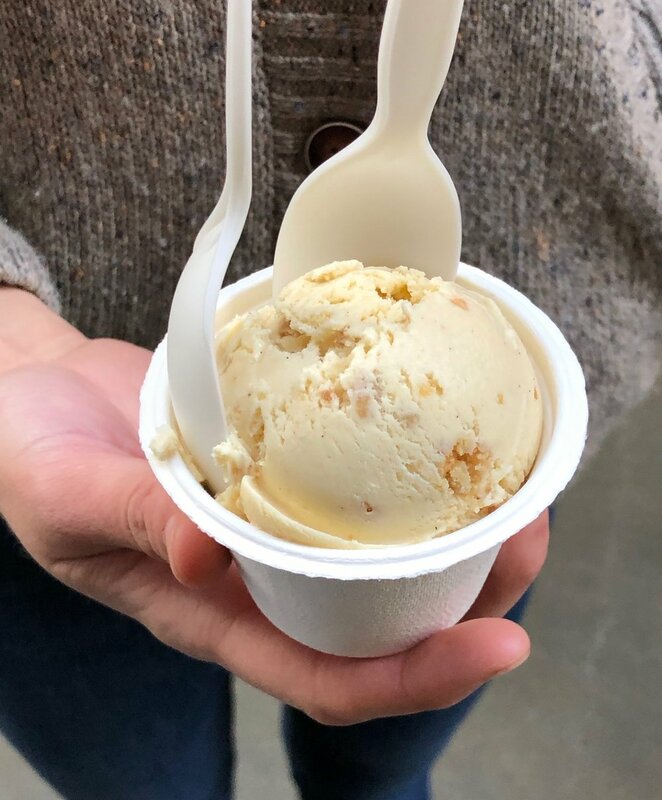 It's bourbon-flavored ice cream with cornflakes mixed in. So good! The salsa bar was the best part of Pancho Villa. Our second night we went to the mission for burritos. The Mexican food in the mission is great! On a previous trip, we ate lunch at La Taqueria. We waited in a huge line, but it was well worth it. On this trip, we tried Pancho Villa. It was ok, but La Taqueria was better in my opinion. The main highlight at Pancho Villa was the salsa bar. I love chips and salsa, and all of the options were tasty and fresh. The burrito itself though was a little bland. My advice is to skip Pancho Villa and get in line at La Taqueria. The burrito was so-so. We both agreed La Taqueria was better. 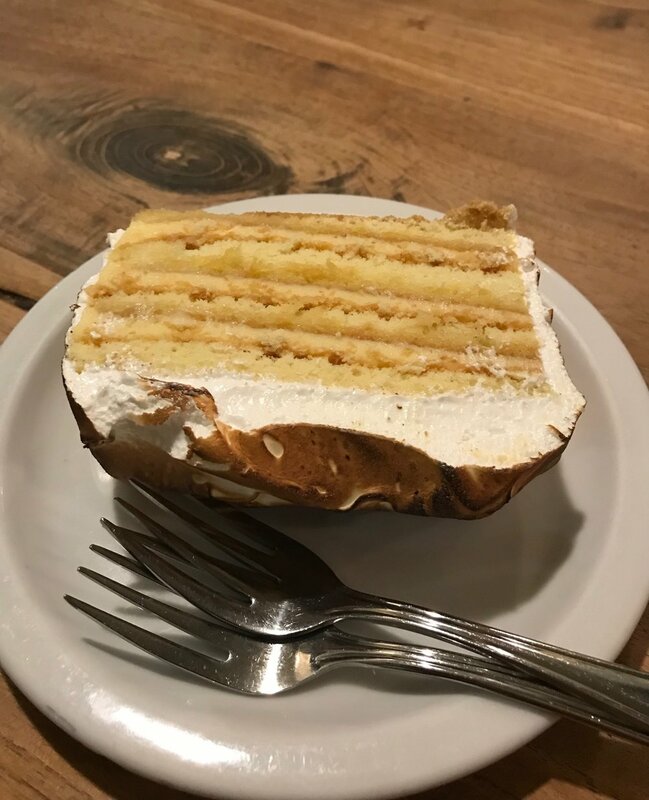 Just a few blocks away from Pacho Villa is Tartine bakery, a great place for dessert. We showed up close to closing, so our options were limited. Kenan and I shared a lemon layer cake. It was delicious! When we return, we'll have to visit for breakfast since the menu looked promising. San Francisco is a fantastic food city. It's especially good if you're a vegetarian or vegan because almost every restaurant has several tasty and fresh options. While not a comprehensive list, I hope these choices give you somewhere to start as you plan your food tour of the city. Are you a vegetarian? Do you want us to do more food guides? Answer below in the comments.